Amit Shah’s political card did not work in Kashmir Valley but it surely was a success in Chenab valley. The Valley where BJP could never manage to win a single seat, except for 1996 in Ramban, the party won 4 of 6 seats in the Assembly election 2012. Chenab has an identity of its own; a mixture of Hindus and Muslims population, it practises a bit of both cultures from Kashmir and Jammu and thus the friction between two communities is much more than in any other part of the state. The recent election result of Chenab has taken majority of the population by surprise after BJP emerged winner on four seats leaving only two for its rival Indian National Congress. The two most surprising wins of BJP Chenab are Doda and Kishtwar. Doda is a Muslim majority area and for obvious reasons a Muslim candidate was being elected since 1957. From last two elections, 2002 and 2008, it was Congress’s Abdul Majid Wani who won. In 2008 he secured 23254 votes while NC’s Khalid Najeeb got 16102 votes. BJP then secured third highest votes – 2756 votes. In 2002, Majid Wani secured 35.29 per cent of the total votes polled, NC at second position bagged 33.73 per cent and BJP then securing forth highest – 10.97 per cent of the total votes. But this time over the BJP’s candidates, Shakti Raj Parihar, a non-local in Doda, won by a margin of 4040 votes. The sitting MLA of INC’s Abdul Majid Wani has secured 20532 votes. NC’s Khalid bagged third highest votes – 16416 votes. Shakti Raj Parihar is born in Doda but never lived there, he is settled in Inderwal. A practicing contractor Shakti lives and operates (his office) from a rented apartment in Doda. He has been working in Doda from last six years and has spent money in bulk to lure people to vote for him. 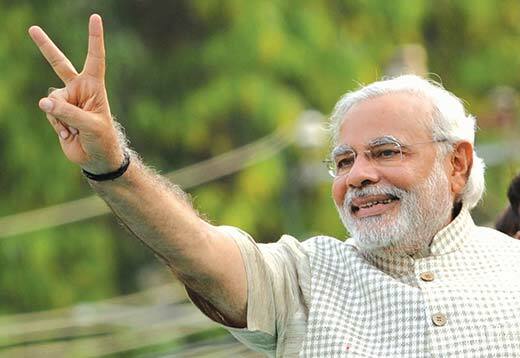 It is because of him that BJP could cross the mark of 5,000 votes in the area in the parliamentary election. But his bagging the Doda seat and Wani’s securing the position of the first runner-up is a shocker to many locals. Thinking over the lines of Panther’s Party’s patron, Bhim Singh, Hashmi also believes that the EVM’s in the area have been manipulated to get desirable results. “BJP’s magic wand cannot work everywhere,” he opines. The locals are shocked as well as grieved because the majority will now be ruled upon by a minority which they believe would lead to their disempowerment. Similarly, in Kishtwar, an NC bastion since 1977, BJP’s Sunil Sharma defeated Sajad Ahmed Kitchloo. Kitchloos have been winning in the area since 1977. In 2002 and 2008, it was Sajad and before him it was his father, Bashir Ahmed Kitchloo. Sharma’s win is definitely an end to the Kitchloo family’s hereditary rule, it seems. Sharma bagged 28054 votes while as Sajad secured 25202 votes. In 2008, Sajad bagged 19248 votes (37.48%) while as BJP’s Kumar secured 16783 voted (32.68%). In 2002, Sajad got 16725 votes while has BJP did not contestant the election in Kishtwar. In 1996, NC’s Bashir Ahmed Kitchloo, Sajad’s father bagged 17889 votes and BJP’s Rajinder Singh secured 10900 votes, first runner up. It looks Sharma has lived up to expectations of his BJP’s supremo and the Indian Prime Minister. In the Muslim majority Kishtwar, Kitchloos were repeatedly bagging the seat as they empowered the population and helped Kishtwar to attain a place where it is today, say a local Muslim voter from the area but the impression was ruined after the last year’s riots in which many Muslims and Hindus lost their lives. Locals say that Sajad did not pay any heed to the innocent Muslims who were lingering in jails after the riots. “He used all his approach and helped himself to get exonerated of all charges without bothering about the local Muslims,” say Afaq Ahmed, a local. Perhaps, gauging the mood of the situation and preparing for a larger win, BJP’s Sharma, on the contrary, helped to seek bail for all the innocents, both Hindus and Muslims. In the parliamentary elections also “communal polarization” played a huge role. Though, Sajad had an edge as if he wished he would have worked to consolidate the entire Muslim vote bank. Courtesy: PDP chose Firdous Ahmed Tak instead of strongest candidate Syed Asghar Ali. But it worked the other way round; Sharma was successful in consolidating the Hindu votes besides, gaining the thousands of Muslim votes as well. This year it was all about celebrations for the saffron party. Like many other Ghulam Nabi Azad’s home constituency, Bhaderwah too does not have a different story. BJP’s Daleep Singh bagged 25953 votes and defeated Azad’s cousin and INC’s face in Bhaderwah, Mohammed Sharief Niaz who secured 24457 votes. In 2008, it was Azad who bagged the Bhaderwah seat with 38238 votes and defeated BJP’s Daya Krishan who secured 8802 votes only. Earlier in 2002, it was Naiz who won bagging 16962 votes and BJP then was at second runner-up bagging just 19 per cent of the total share of votes. Similarly in 1996 NC’s Maulana Atta ullah bagged the seat securing 13230 votes and BJP, the second runner could only secure 7152 votes. Accompanying Niaz in his rallies the tantrum of Azad of making people dream of a ‘model valley’ did not work this time over. “Azad may have sanctioned medical college in our favour but he did not work much on the connectivity of the area in any of his tenure, neither when he was in state nor the centre,” says Iqbal Ahmed, a local. “A leader of Azad’s stature could have developed the entire Chenab Valley into a much better place than it is today but he did not. In Bhaderwah, certain anger, though little, against Azad has made BJP to win. Besides, the entire votes of Village Defence Committees would have helped Singh to his win. Election Commission of India unlike last elections had not put VDC’s on duty for guarding the polling booths. They make at least a number of 24,000 votes and most of them perhaps would have supported BJP. =Ramban’s result was not as surprising as Doda, Kishtwar and Bhaderwah. It is the second time after 1996 that BJP has won in the area. In the Hindu majority place, Neelam Kumar Langeh bagged 25349 votes while as NC’s Dr Chaman Lal secured 19985 votes. In 2008, Congress’s Ashok Kumar bagged 21779 votes and BJP’s Bali Bhagat secured 11460 votes. In 1996, BJP’s Bhagat had won bagging 10123 votes. The surprising element in Langeh’s win is he was a last minute choice for BJP. For last three years BJP was portraying Girdari Lal, a school teacher as their candidate. He left his government job to be in the party and contest elections but was denied the mandate in the last minute. The political commentators then thought that Lal’s exist would help NC’s Dr. Lal’s win as they both belonged to the same village and have worked equally for the betterment of people. But as the results show, people have rejected all the logics and have chosen BJP’s new face. 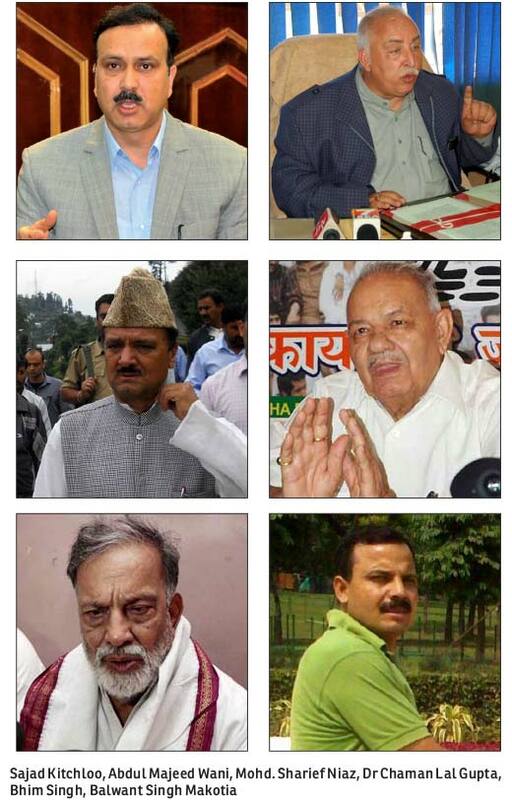 In Banihal and Inderwal the results were a bit expected and Congress retained both the seats. Congress’s Vikar Rasool Wani bagged 17671 votes. The first runner up was a retired bureaucrat Bashir Ahmed Runyal representing PDP who got 13322 votes. And in Inderwal, Congress’s G M Saroori retained his seat and bagged 29754 votes defeating BJP’s Tariq Hussain Keen.